Who needs Wall Street, right? Two AI-driven ETF’s outperforming the S&P. 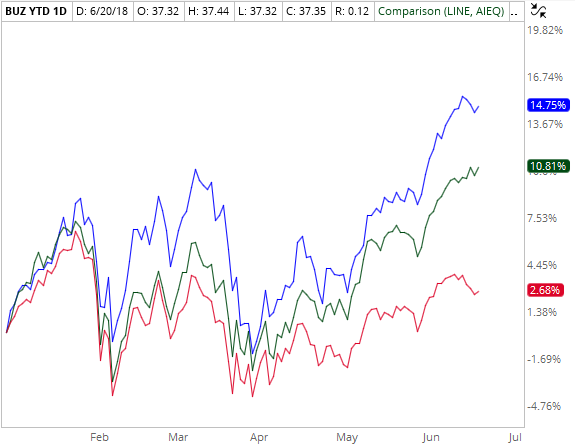 BUZ (blue), AIEQ (dark green), and SPX (red).